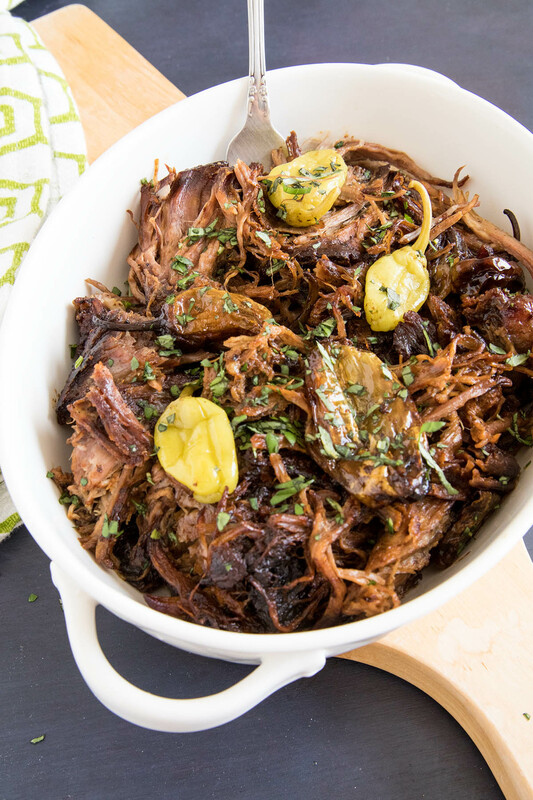 A recipe for making the practically infamous slow cooker beef roast that took the Internet by storm! 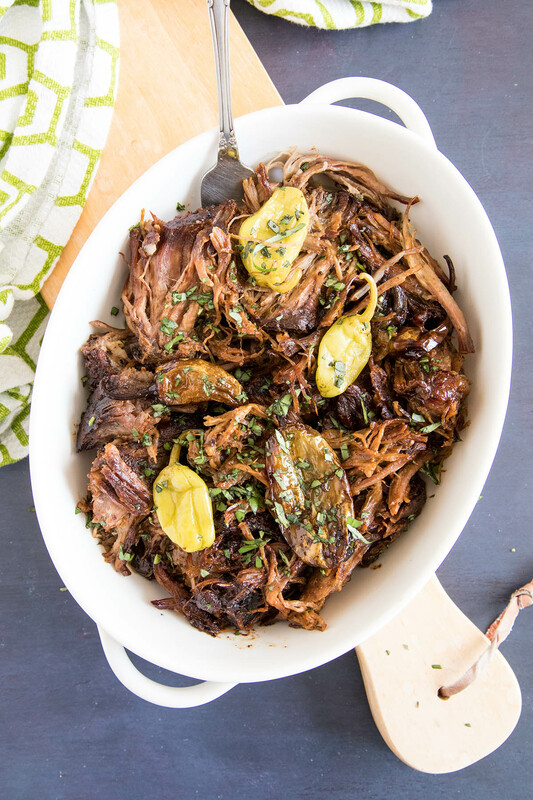 Delicious and fork tender, made with chuck roast, pepperoncinis and loads of seasonings. When “Chile Pepper Magazine” asked me for ideas for their current “One-Pot” cooking issue, I knew I had to make Mississippi Pot Roast. If you’ve been on the Internet at in all in the last year, you’ve probably seen a recipe for Mississippi Pot Roast. It has spread like digital wildfire through the intertubes, finding its way onto blogs of every type and published pages galore. By the time everyone knew about it, I still hadn’t tried it. I make slow cooker beef roast all the time. My thought was, how could this recipe be so special? Does it really taste THAT good? Where Did Mississippi Pot Roast Come From? It’s an interesting story, really. It started when a couple of Mississippi natives put the recipe in their church cookbook and it eventually took off, mostly because it’s so darned tasty. So yeah, full disclosure – this is NOT my recipe. I didn’t invent it, but after making it and trying it for myself, I can certainly say – YES! I really like Mississippi Pot Roast! Good stuff, my friends. The combination of ingredients truly melds with beef that is slow cooked until it is deliciously fork tender. Patty and I were practically eating the roast out of the pot. I won’t say it’s the absolute BEST slow cooker beef roast I’ve ever made, but DANG if it isn’t up there, which is sort of surprising because of the ingredients list. Seriously, I’d eat this any time, all day long. Want to watch me eat a whole pot roast? Make this for me. The original recipe calls for beef, butter, au jus gravy mix and a package of Hidden Valley Ranch dressing mix, along with pepperoncini peppers. I like to stay away from the dry packet stuff, so am sharing a slightly altered version that is just as tasty. 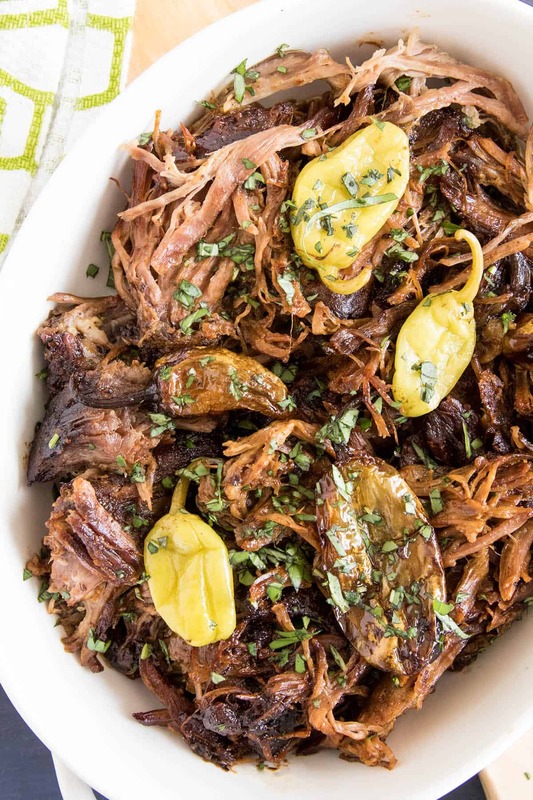 You can also make this in a slow cooker. It isn’t very spicy, FYI. The only real spiciness comes from the inclusion of pepperoncini peppers, which have a little bit of a kick, but not much for the seasoned chilihead. I added extra pepperoncinis to my recipe, though feel free to adapt and include as many as you’d like. The recipe can stand up easily to more of them. Feel free to slip in a few hotter peppers, too, for a nice adaptation. Let me know what you think! You’ve probably made this by now already! Send your thoughts! If not, give it a go, asap, and send word. — Mike H.
1 boneless chuck roast about 3 pounds. Season roast with salt, pepper and flour. Be sure to coat all sides. Heat the oil to medium heat in a large oven safe pot and sear the roast on one side for about 5 minutes, then flip and sear another 5 minutes. Sear the sides of the roast a couple minutes each as well. Remove from heat and add the butter and pepperoncinis. Let the butter melt. In a separate bowl, whisk together the mayonnaise, vinegar, dill, paprika, Worcestershire, hot sauce and buttermilk. Pour into the pot. Set the pot into the oven and cook for 5-6 hours, or until the meat is fork tender. How many pepperoncinis are in 8oz? They come in a jar with liquid. Do I use 8 fl oz of liquid or do i drain the liquid and use half of pound of peppers by weight? REPLY: Just use the whole 8 ounce jar, or to your own preference. You can drain the liquid. — Mike from Chili Pepper Madness. I’ve made this a couple of times in my Instant Pot. 90 min done and shredded. It’s fabulousI. It’s not spicy like ppl think. Just flavorful.